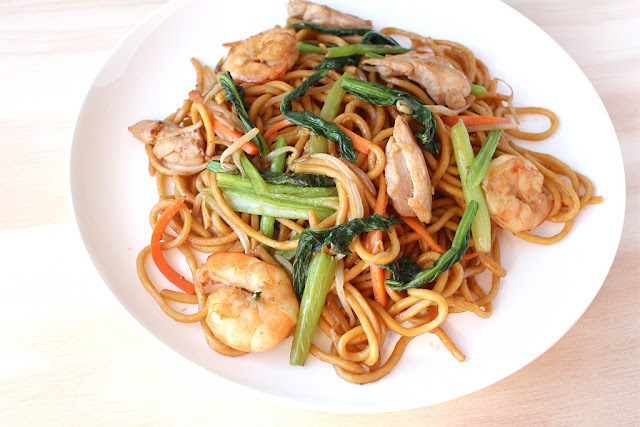 Noodles are one of the staples of Chinese cuisine, after all the Chinese invented it. Although the origin of noodles has been a matter of debate, the 2005 discovery of 4000-year-old millet noodles in China (the oldest noodles ever unearthed) provided evidence to settle the argument that noodles were first produced in China and not Italy or the Middle East. Noodles featured regularly on my plate growing up. They make for a simple and economical meal, and its long shape has been used to symbolise longevity and for celebrations such as weddings, birthdays or Chinese New Year, there will always be a special noodle dish served to represent long life and good health. 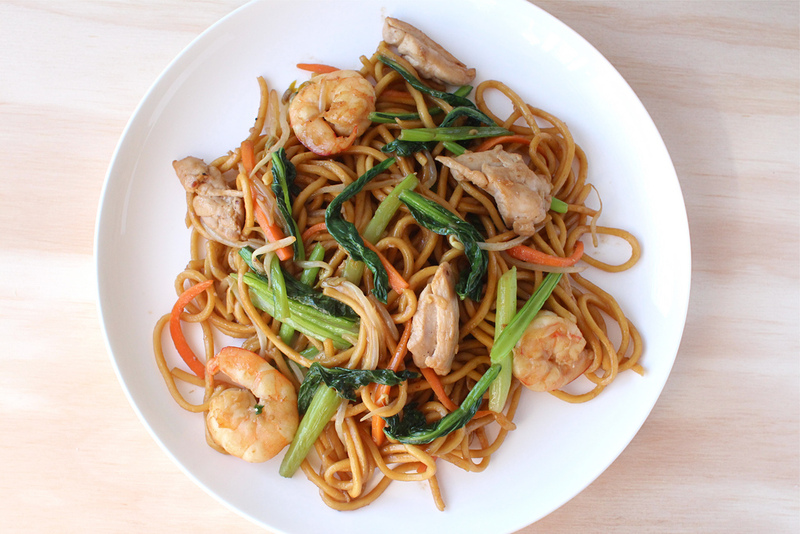 A packet of Yunion’s Hokkien noodles was included in the November Urban Locavore box and when I picked up my box, I knew that there was nothing better to do with it than to cook some stir fried Hokkien noodles. The Hokkein noodles were in the Urban Locavore box to be teamed up with Red Hot Spatula’s laksa paste but I only used half a packet in the stir fry so there was plenty leftover for laska. 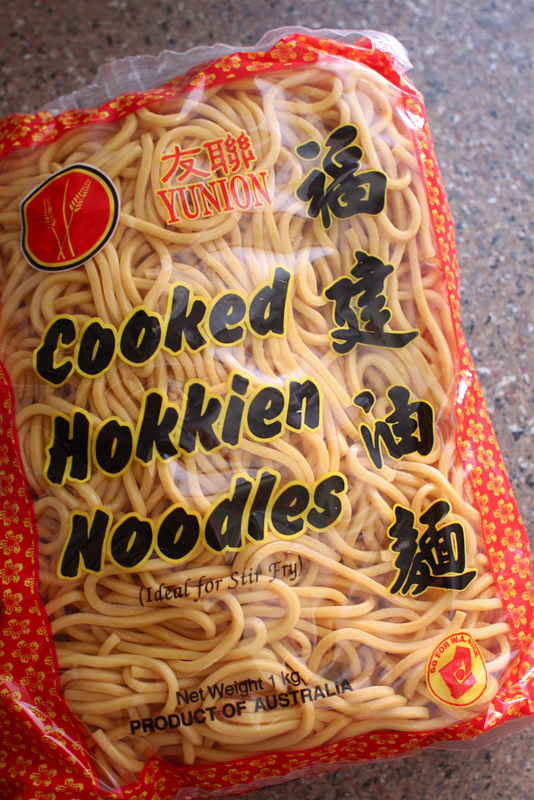 So from one packet of Yunion Hokkein noodles, you can cook two different dishes – laksa and stir fried noodles! Stir fried Hokkein noodles is one of those dishes that would be in every Chinese family’s repertoire, a simple home fare. I learnt to cook it from my dad but overtime I have tweaked the recipe here and there. My version is a little lighter in that it’s not lathered with a dark thick sauce which is what you might get if you order it at a restaurant. It’s a bit drier as I don’t use stock and the sauce is absorbed straight onto the noodle. The addition of hoisin gives the sauce more sweeter undertones against the soy sauce but I think I have found a good balance of flavour. Note: Although you can use any type of vegetable (cabbage, kai lan, bok choy), my choice of Asian green for this dish is choy sum which is characterised by small yellow flowers which has a mild mustard like flavour. 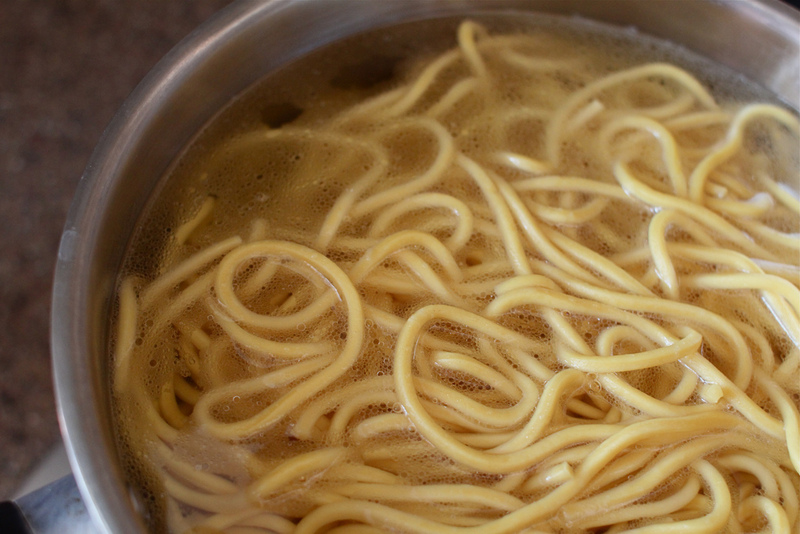 In a pot of hot boiling water, blanch the noodles for about 60 seconds (use chopsticks to break up/untangle the noodles) and thoroughly drain. This loosens and warms up the noodles, as well as removing some of the excess oil on the noodles. Heat some oil in a wok and fry the chicken, when it starts to brown, add in the prawns and stir fry until the chicken and the prawns are cooked. Remove and set aside. Heat a little more oil in the wok and fry the crushed garlic for 30 seconds, then add in the Hokkien noodles and stir fry for a bit to combine with garlic (I find it easier to use chopsticks to stir and toss the noodles around). Add in the choy sum stems and stir fry until they start to soften, about 2 minutes (I like to cover all the choy sum with the noodles and let it steam for a bit). Then add in the carrots and bean sprouts and stir fry for 1 minute. 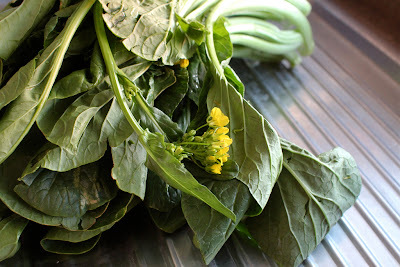 Add in the choy sum leaves, cooked chicken and prawns, sauce mixture and a little salt. Stir fry everything together for 1-2 minutes until the sauce mixture is thoroughly mixed through and coats the noodles. Nice post! One of the earliest dish that I have ever made since I got married is this Stir Fried Hokkien Noodles. When we have guests over, I usually prepare this dish. 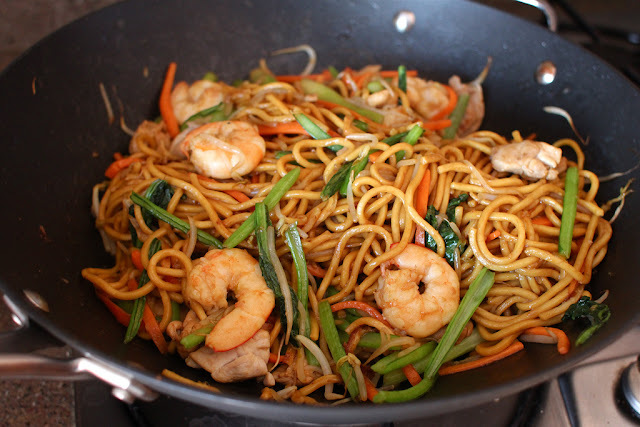 By the way, you can also read more information about stir fry recipe, just Visit Here! What to eat in an Apocalypse – Canned Apocalypse.